Hey, my name is Tristen! I am in 7th grade and attend Spratley Gifted Center. I'm not sure what I would like to be when I am older but I would like it to do something with Filming. I also enjoy playing (and sometimes making) video games. 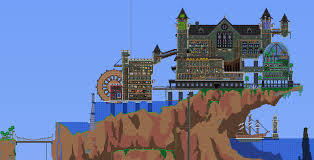 The image above is a map view of a base in a game called Terraria. Terraria is one of my favorite games to play.